I’m going to need time to stand still for about 10 minutes. Time’s been flying by since May and even with the long month, things are moving crazy fast. I can’t believe my guy and I have been in our place for a month, mainly because I’m still rearranging things and don’t feel like everything is 100%. Bare Minerals 5-in-1 BB Cream Eyeshadow – Radiant Sand: I do not understand why these do not receive ALL of the hype as far as a primer/eyeshadow goes. The whipped-like consistency of these dries down quickly, making it the perfect base for other shadows or a stand-alone product. They are buildable, crazy pigmented and have SPF. Buy one, buy them all, thank me later. Garnier Skin Renew Anti-Dark Circle Eye Roller: Also not receiving enough hype, this guy. Don’t have time for fuss? This. It does run a little dark but I can make it work in the summer. Works well as a corrector or by itself. I have a very old post about it here. Becca x Jaclyn Hill Split – Prosecco Pop & Pomplemousse: This is a no-joke glow. It’s more golden than what I’d normally go for, but it also makes a great pop at the center of the lid. So pigmented, so creamy, so gorgeous. 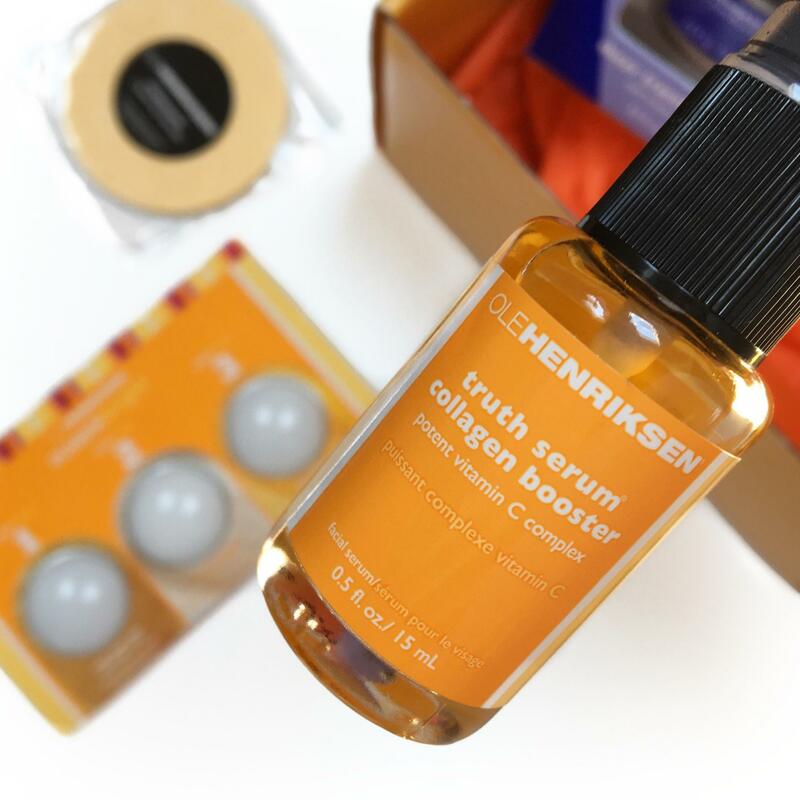 Ole Henriksen Truth Serum: I’ve tried a few serums now since adding one to my skincare routine and this one is the only high-end serum I’ve tried that’s worth the money. I want added hydration in my serums without developing excess oil throughout the day. This serum gives me just that, all while smelling like oranges. 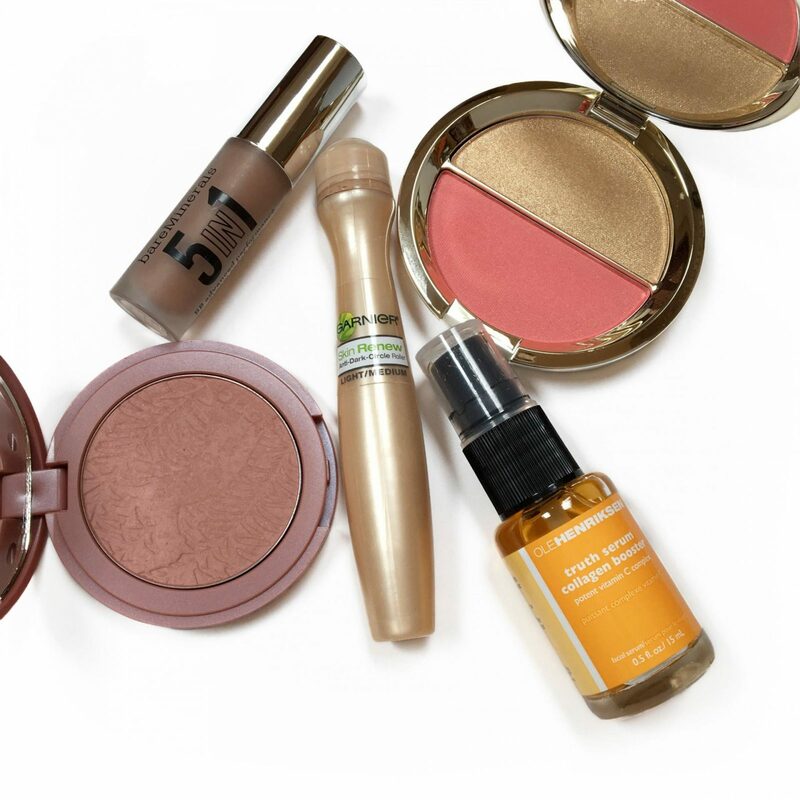 My skin looks brighter, healthier and this acts as a great base for makeup. You can read more about it here. Tarte Amazonian Clay Blush – Exposed: I think everyone should own this blush. It is super flattering and looks very natural. 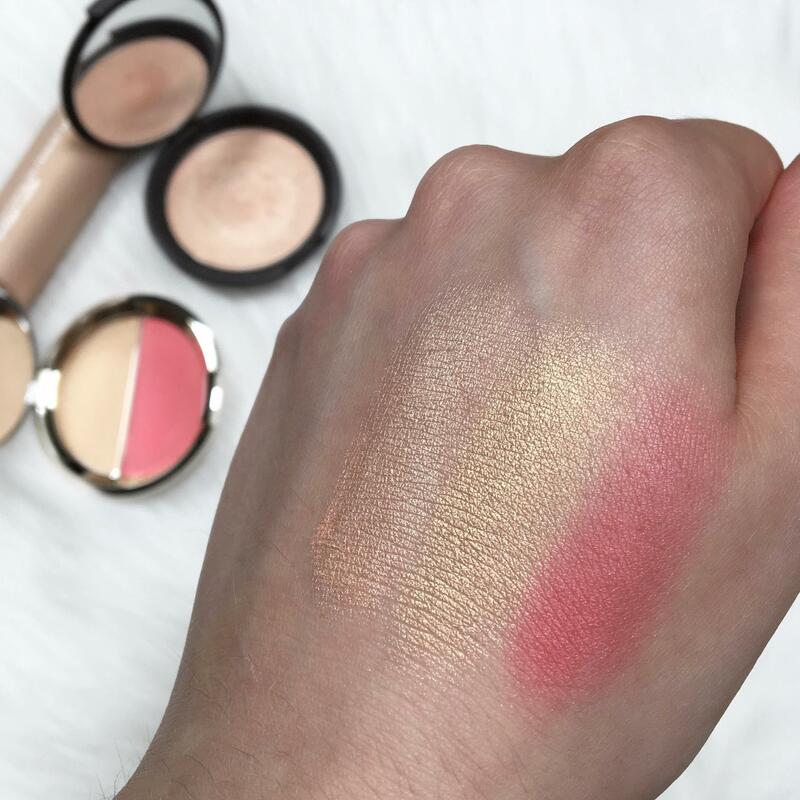 This blush adds a natural hint of color back into your skin and compliments any eye look or lipstick. I’d love to hear what you were loving this month!